Have reasonable people ever seriously asked whether the frontrunner for a major party’s presidential nomination was a fascist? But Donald Trump’s calls for barring Muslims from entering the United States and for rounding up and throwing out millions of immigrants (whom he called “rapists”), as well as his frequent falsehoods and saying that a protester beaten at one of his rallies “should have been roughed up”, have drawn comparisons to the days of Hitler and Mussolini. 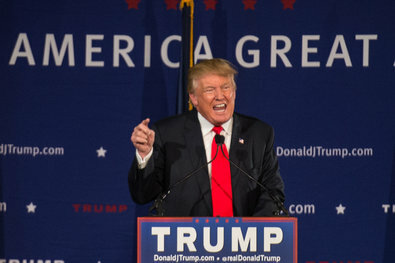 How can a man of such extreme views be the leading Republican candidate in the polls? What does Trump’s popularity say about his supporters, and America? African Diaspora Advocates for More African Refugees in USIt’s Islamic Terrorism. So What?